If you know nothing about him but you are interested because, hey, I’ve given him his own page on my site, then please check out this book, a biography written by two of his best friends. He was an amazing soul, an amazing (and often irritating) brother (as brothers often are), and his books continue to reach out and touch so many people. 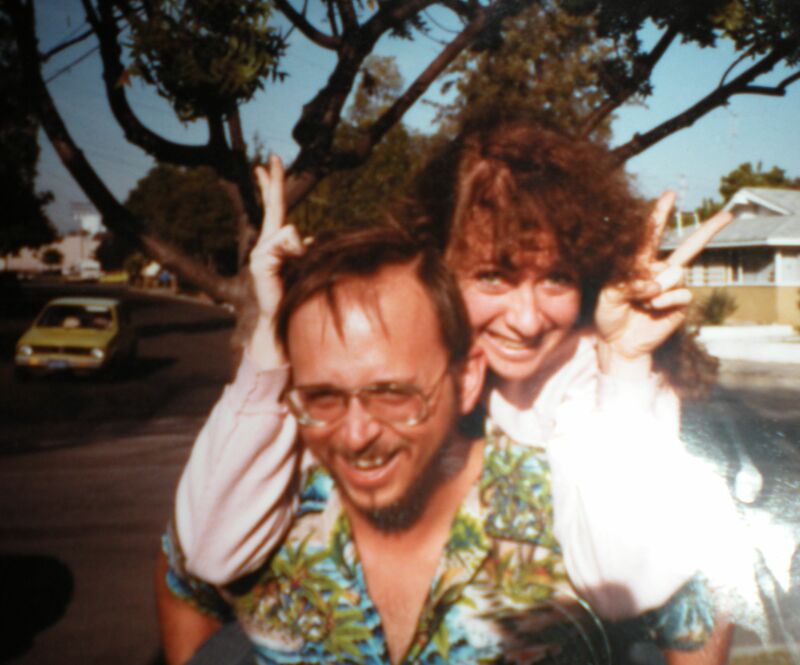 He wrote many genre books – romances, westerns – to help pay the bills while he was writing his Llewellyn books. The genre books are long since out of print (though you can find some still on ABE Books); his Llewellyn books are still selling. This one is one of my favorites, below. 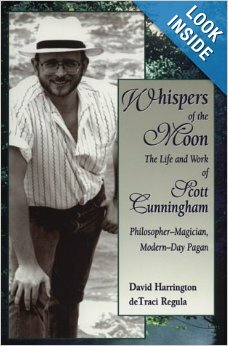 Whispers of the Moon was written by two of his close friends. I think I’ve got a quote in there. 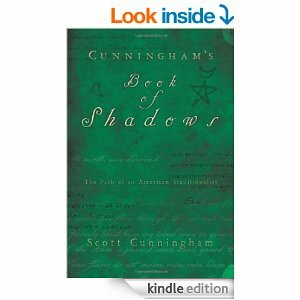 Llewellyn received a box of Scott’s papers, years after he died, and in 2009 they put together Cunningham’s Book of Shadows. They kindly asked me if I’d like to say a few words about him, so I gathered my thoughts and did a brief essay. about Scott. The two of them never met, but Scott would have appreciated Christopher. I love this photo of us. We’re both blissed-out with our eyes closed (though it was probably that my dad liked to have us face the sun when he took our photos). Here’s another one from the same series of shots. 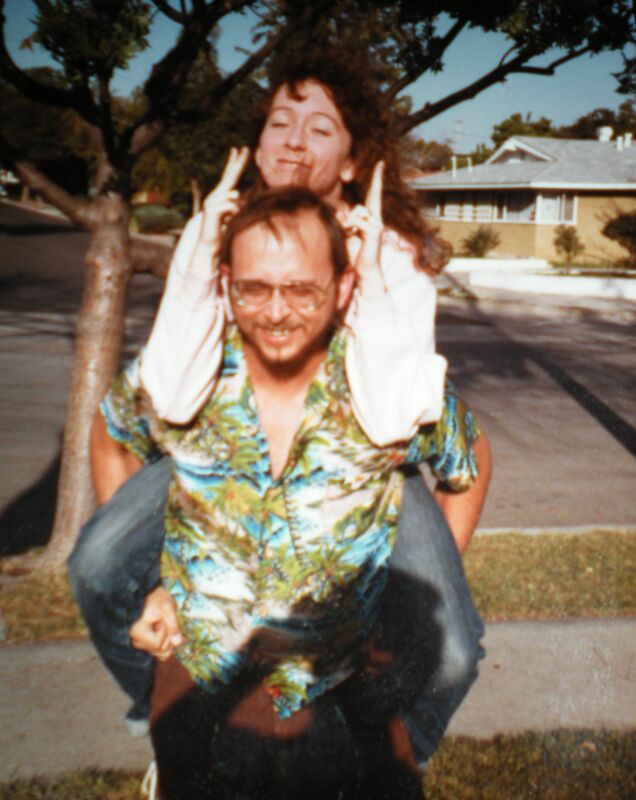 We had been goofing off in the front yard and dad came out with his camera. If you do know about him and his work, please feel free to leave a comment below. I know there’s a community of people who miss him, and thought this might be one way to celebrate his life and his work. It’s funny. It’s been two decades plus since he died, and it still feels like all I have to do is think of him and he’ll give me a call. As I find more photos of us, I’ll add them to this page. If YOU have a photo that you’d like to have added to this page, send it to me as a .jpg and I’ll be happy to add it. I believe that our loved ones who have passed on are only a thought away. Our corporeal vessels that house our souls block us from seeing them but they are with us all the time. I didn’t know your brother, but I used to read many Llewellyn books. 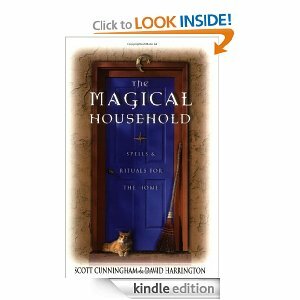 I am definitely going to go order the Magical Household. Hugs Christine and this is a great page. Les Livres de Scott ont beaucoup influencé la pratique Wicca en France (le pays de Lafayette) depuis 1993 . Merci Scott et une grande pensée aujourd’hui pour lui rendre hommage. Gros bisous à toi “Christine ” . Ambrosia, as soon as I get my French-speaking sons to translate, I’ll be able to give you a knowledgeable reply. Many kisses to you! Christine~ Thank you for this page. Scott’s books are read, referenced, hoarded and loved in our community. He was a gift and is missed by millions of fans. My pleasure, Diane. Hugs hon! Depuis la France, je vous envoie mes meilleurs vœux de bonheur et de prospérité pour 2015.